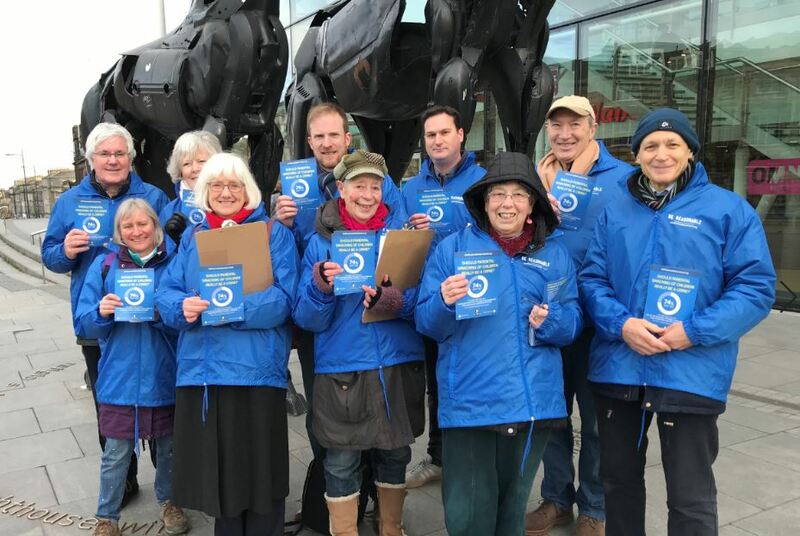 Edinburgh was the venue for the latest Be Reasonable Scotland Action Day and the team certainly got a range of views from the public. However, the vast majority of those views won’t be welcome to John Finnie – or the Scottish government. Two teachers were supportive of parental choice (including smacking) in setting boundaries of acceptable behaviour for children. Both teachers spoke of the overall deterioration in pupil behaviour at school, and attributed this partly to the lack of basic discipline at home. One of our volunteers said that three quarters of conversations he had favoured the option of allowing reasonable chastisement by parents. Even more people questioned the ability of lawmakers to police the issue of smacking in homes. That’s why Be Reasonable Scotland has been doing all it can to highlight the call for views, which ends on Friday 25th January – you can find help in responding to it here. Do let your friends know about it on social media. Please do take time to engage – it’s so important to let our elected politicians know what the public thinks on this issue, as it’s the public who will be affected by any change in the law. A huge thank you to the intrepid team of local volunteers who helped us on Saturday – well done! The Be Reasonable Scotland Roadshow’s next stop will be the Dean Park Hotel in Kirkcaldy on Thursday this week at 7.30pm. If you live in the area, we hope to see you there!